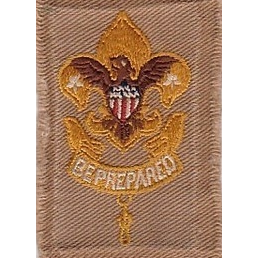 The First Class Insignia is a combination of the Tenderfoot and Second Class Rank Insignias, representing the ideals of the “All-Around” Scout. 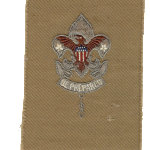 The First Class Rank was originally the highest rank a Scout could earn, while Star, Life, and Eagle were originally recognition of accomplishments for earning extra merit badges. 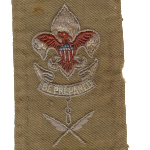 Eventually Star, Life, and Eagle Ranks were added as official ranks where Scouts could earn recognition for their leadership skills. 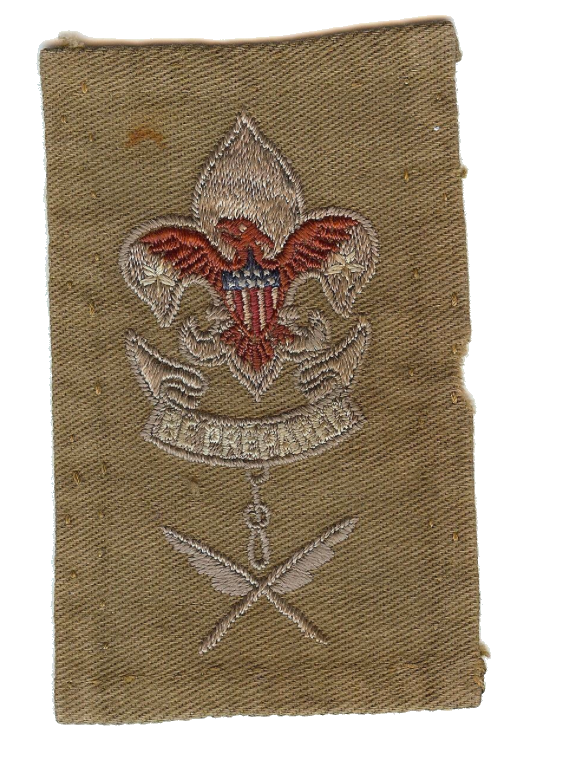 Early First Class Cloth Rank Badges are quite rare and very collectible. 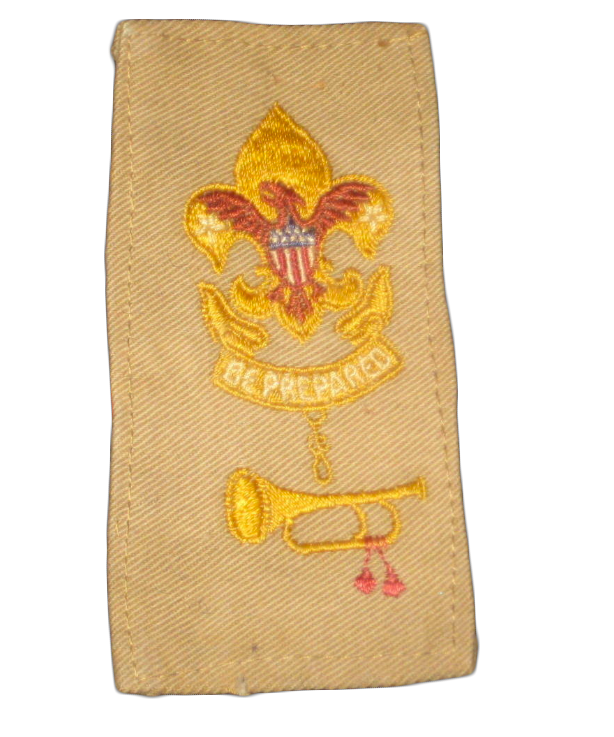 There are combination badges for both Scribe and Bugler, and Gold as well as Silver / Gunmetal designs for Patrol leaders, typical of the combination badges that exist for Tenderfoot and Second Class Ranks. There are at least 6 different types of embroidery / size variations that can be found for these early badges making for an enormous number of possible badges that are collectible. Finding unsewn and unwashed badges is a collector’s dream because just like anything else, condition is king. Below is a small gallery of some early First Class Rank Badges. 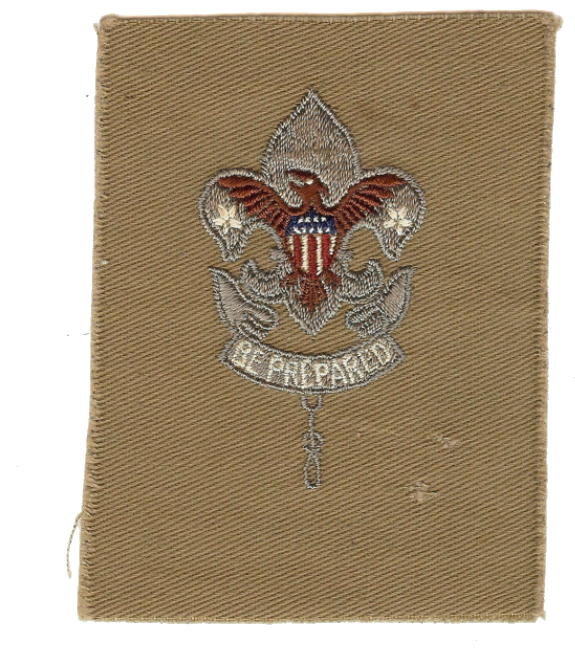 Badges with Rolled or Embroidered edges are all pretty common so they do not have the high values you will see for these early cut cloth edge badges. 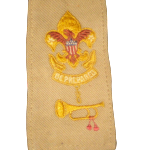 If you need help identifying or appraising your Boy Scout Collectibles, or First Class Rank Badge then please feel free to Contact Us.